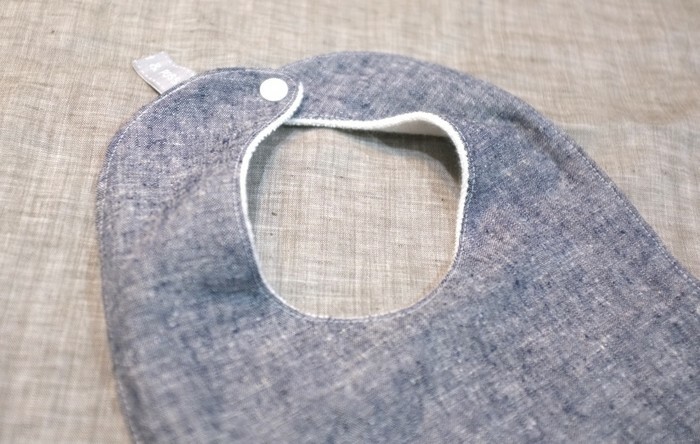 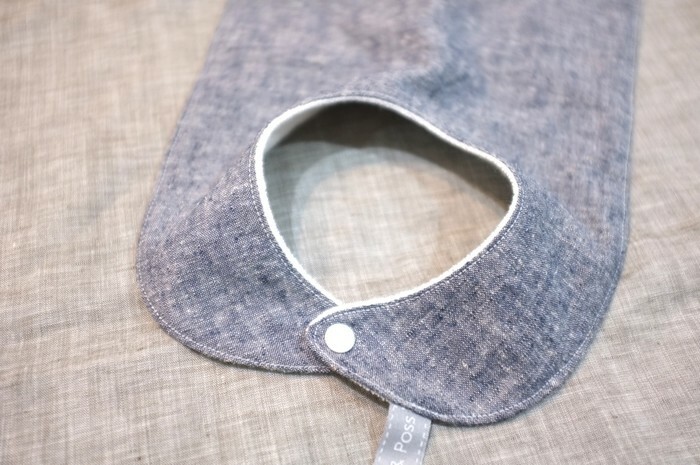 I hand-make my bibs from a base of super absorbent organic cotton and bamboo knit towelling, layered with beautiful, soft indigo-dyed hemp and organic cotton fabric on the front. 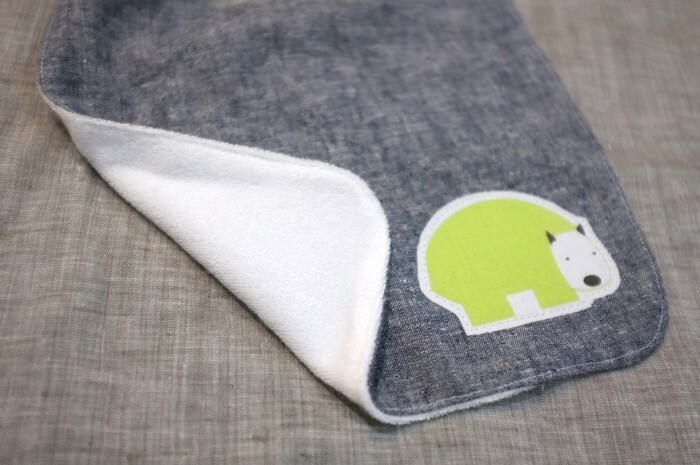 I've appliquéd a cute wombat in organic cotton on the front right corner. 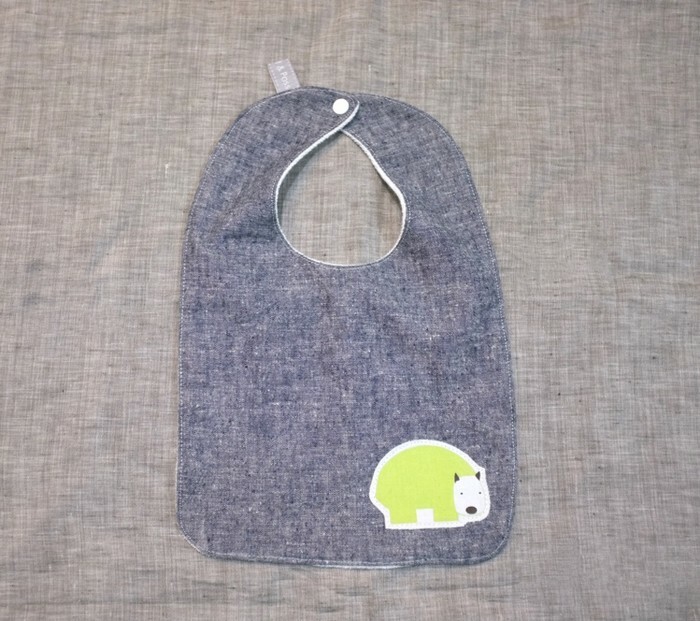 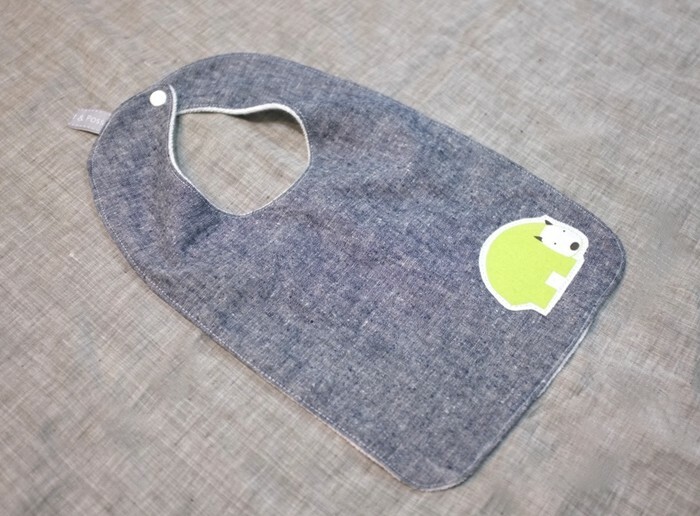 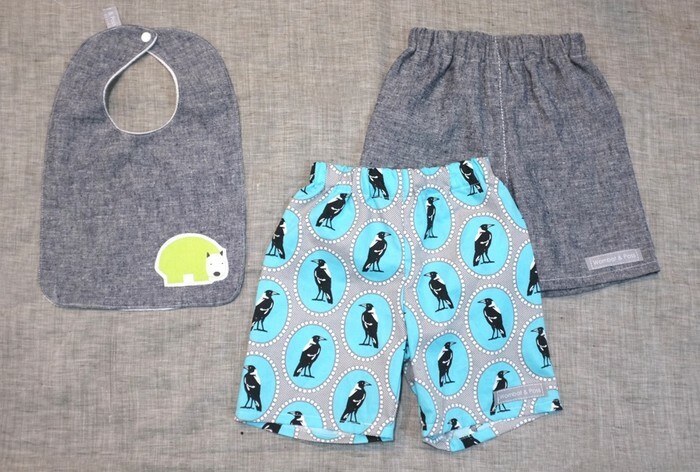 The bib is designed to give ample covering of baby’s front and shoulders, keeping clothing well protected. All Wombat & Poss items arrive at your door packaged beautifully in eco-friendly recycled paper and string.